Sensitive advertising on the misdeeds of tobacco and more particularly on the problems of nicotine addiction. 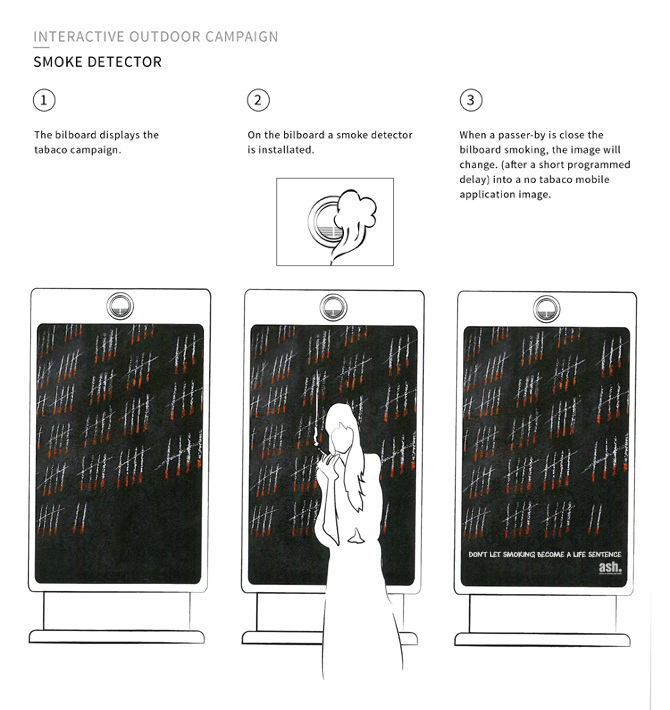 This interactive campaigns will allow consumers to get involved and invested in the overall message. 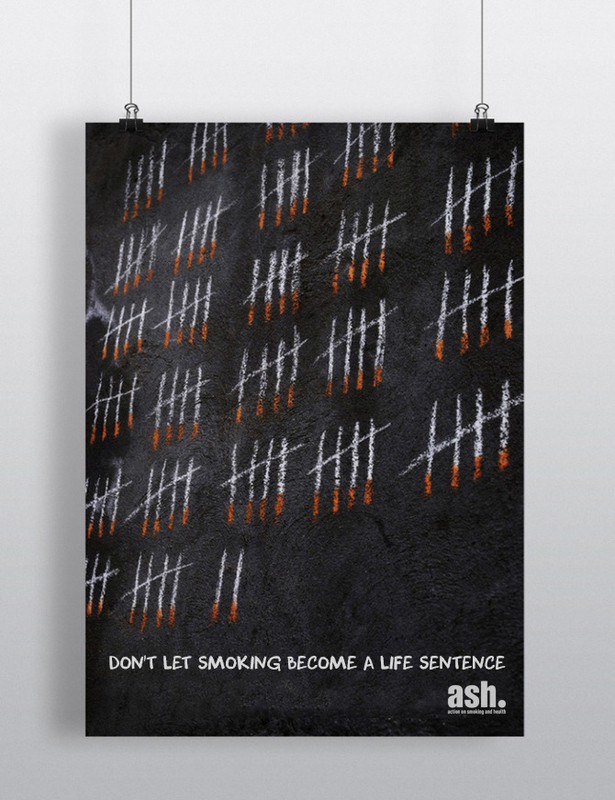 The billboard will remind smokers that their habit affects other people too, including their kids. A smoke detector will be installed in the billboard. If a cigarette is lit close to it, the image will zoom out and reveal that the chalk drawing was make by your scared child.